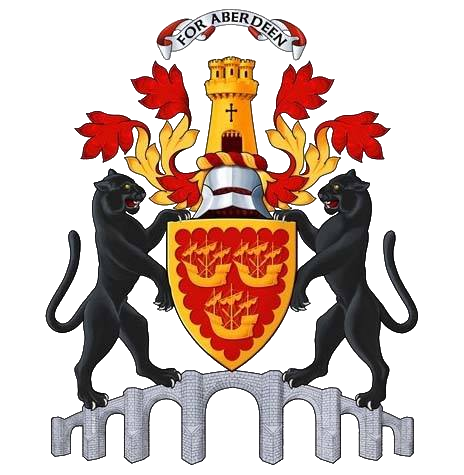 Admitted as a Free Burgess of the City of Aberdeen on 30th June 1986 and after serving as an Assessor and Senior Assessor for a number of years. 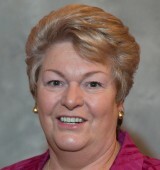 Elected Dean of Guild of the City of Aberdeen in 2014. 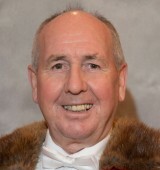 Title was changed to Lord Dean of Guild of the City and Royal Burgh of Aberdeen by Dr. Joseph Morrow, Lord Lyon of Scotland, who made the announcement at the Burgesses' 800th anniversary dinner on 27th February 2015. Born in Aberdeen and brought up in the village of Hopeman on the Moray Firth. Schooled in Hopeman before attending Mile End Primary and the Grammar School in Aberdeen. Retired from his occupation of Insurance Broker. Married to Marjorie, with two daughters, two sons-in-law and four grand-children all of whom live in Aberdeen. 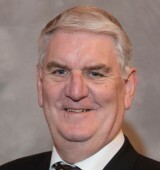 Chairman of Sport Aberdeen; and Treasurer of Hopeman Golf Club. Previously President of Junior Chamber Aberdeen, Chairman of the Scottish Senate of Junior Chamber Scotland, President of The Insurance Institute of Aberdeen, Chairman of The Royal Northern and University Club in Aberdeen, Director of Aberdeen Chamber of Commerce and President of The FRS Club. Senator of Junior Chamber International and in 2014 was presented with a Scottish Samurai Award. Originally from Airdrie. Studied at the Universities of Strathclyde and Cambridge. In 2001, became Historian for Aberdeen City Council with responsibility for the Tolbooth Museum, commemorative plaques and research into Aberdeen’s history. In 2015, became Public Engagement Officer at the University of Aberdeen. Treasurer of the Society of Antiquaries of Scotland and organises Doors Open Day for Aberdeen. Married to Shona, who works at Robert Gordon’s University. Has an active social life and enjoy gardening, walking and cinema amongst other pursuits. 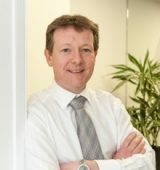 Educated in Aberdeen and recently retired (in 2012) as a Director of Macphie of Glenbervie Ltd after 20 years with the company. Currently a consultant and mentor in HR and business. Worked primarily in the private sector working in Oil & Gas, Hospitality, Construction, Public Transport and Food & Drink sectors, with experience working in and with the public sector. Served as a member of the Commission for developing Scotland’s Young workforce – The Wood Commission. Now serves on the Implementation Board and the Developing Young People’s National Group for Scottish Government. A Governor of the Robert Gordon University and the Steering Committee of Friends of ANCHOR. Awarded Director of the Year by IoD, was the first recipient of the Top Cherry Award for Outstanding Contribution to HR and the Scottish Association of Businesswomen award for Outstanding Contribution to Business. On the steering committee for Friends of ANCHOR. Chartered Fellow of the Institute of Logistics and Transport and Commander of the Order of St. John whose Royal Head is Her Majesty the Queen. Worked in various posts with Aberdeen Corporation Transport, latterly Grampian Transport, and was a member of the management team during the employee buyout in 1989, leading to the establishment of First Aberdeen. Became a directory of First Aberdeen in 1994. Involved with several charities over the years, including Touch of Tartan Ball, Chairman of The Archie Foundation, Boys Brigade Aberdeen Battalion, Art Gallery Development, Arts Centre and Theatre, UK Bus Driver of the Year Competition, Road Operators Safety Council, First Group Heritage Trust, Aberdeen and District Transport Preservation Trust, Gordon Highlanders Museum, First Aberdeen Retiral and Benevolent Society, Aberdeen Opera Company & Aberdeen Safer Community Trust (Absafe). On leaving school served apprenticeship as a Compositor in printing trade. In 1966, changed employment and joined the Police. Served in Aberdeen City/Grampian Police, mostly in CID, but after Piper Alpha Oil Installation Explosion Enquiry, when Senior Investigating Officer, was seconded to Scotland wide Emergency Contingency Planning post. Holder of the Queen's Police Medal. Inaugurated as a Burgess in 1996 and appointed Burgess Assessor in 2004. Now retired but busy with many voluntary pursuits, including serving on boards of Trustees at Newton Dee Camphill Community, Camphill Scotland, and Aberdeen Lads Club. An experienced senior manager with a background in the wholesale distribution and construction industries. Educated at Banchory Academy, and the University of Edinburgh, obtaining a BSc in Biological Sciences. Joined the family business William Wilson as a supplier of plumbing, heating & electrical materials in their Glasgow operation. On gaining a MBA from Strathclyde Graduate Business School, worked in the Construction industry for five years. 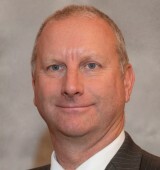 Returned to Aberdeen in 2003 and took-up the role of Commercial Director for William Wilson, now part of Wolseley plc. 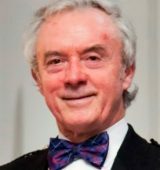 Past President of the Aberdeen Association of Royal Warrant Holders and served for 7 years on the London Council of the Royal Warrant Holders Association. Latterly, joined Aberdeen’s creative marketing agency Mearns & Gill as Managing Director, a business celebrating 80 years in 2016. Married with 3 children. Runs a local Scout Troop in Banchory and has been learning to play golf for many years. Born in Montrose, and lived in various parts of Scotland before moving to Bristol at the age of 13. Married with 2 daughters and lives in Inverbervie. Employed in Local Government since 1992 and will retired from his role in July 2016. Clerk to the Burgesses of Guild since November 2007 supporting the Lord Dean of Guild, Assessors and Burgesses in developing areas such as the new website, social events/lunches and carrying out the duties of Clerk to the Burgesses of Guild in an effective, efficient and supportive manner. A sports enthusiast outside of work - particularly football and golf.